ASA partners with Chevron to provide savings on motor oils, lubricants for shops - AutoInc. 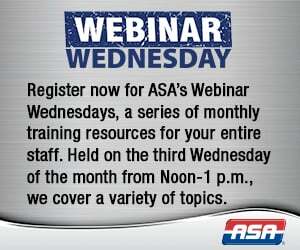 Partnership provides tremendous opportunity for ASA members. NORTH RICHLAND HILLS, TEXAS – The Automotive Service Association has joined forces with Chevron, as its latest Sponsored Benefit Provider. 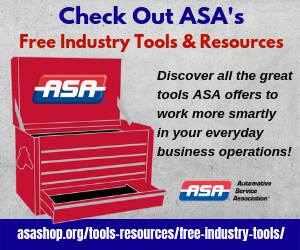 Sponsored Benefit Provider companies of ASA provide special member services and products to member-shops to help offset their everyday business costs. Chevron national’s program paves the way for ASA members to receive average savings of 35 percent on Havoline Motor Oil and lubricants for their shops. “With Chevron Havoline Motor oils you get a trusted national brand available nationwide with competitive pricing and tools that will help you improve your business,” said Ross Shircliffe, business development specialist for Chevron. Product training and inventory management advisement. ASA Executive Director Ray Fisher is excited about the Chevron opportunity for ASA members. For more information about this new member benefit, visit Chevron’s profile at ASA.savings4members.com, an online benefits portfolio, or https://www.chevronlubricants.com/en_us/home/learning/about-our-brands/havoline.html. To take advantage of this special offer, shops must be members of ASA. To join, go to ASAshop.org or call (817) 514-2901.